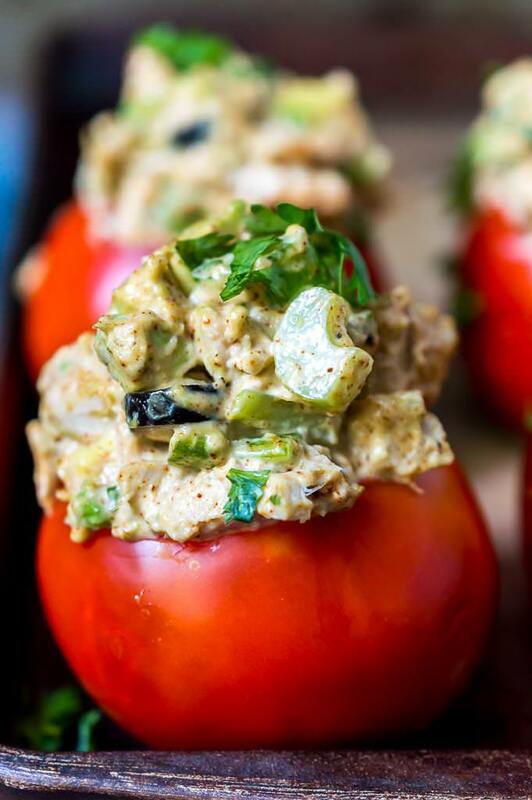 Tuna Stuffed Tomatoes are a great no-cook low carb dinner idea! 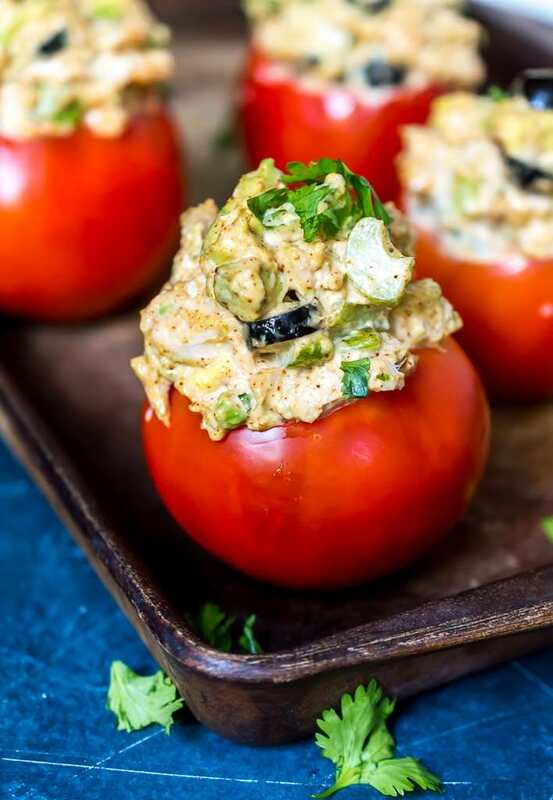 These fresh tomatoes are stuffed with Taco spiced tuna salad. Taco Tuesday just got interesting! This is a Whole 30 Paleo compliant recipe, dairy free, gluten free, low carb and Keto. I’m not typically inclined to stuff foods in other foods, but, when you are following a low carb diet cravings can get a little tricky. Like say, when you’re craving a tuna sandwich on thick seedy bread slices. That was my craving and I just so happened to have a flat of local tomatoes that needed to get used up quick. So I decided it was time to stuff a food into another food 😆 Then came this Tuna Stuffed Tomatoes Recipe. 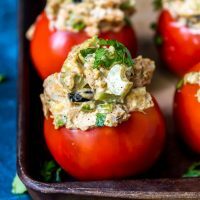 How Do You Make Stuffed Tomatoes With Tuna? 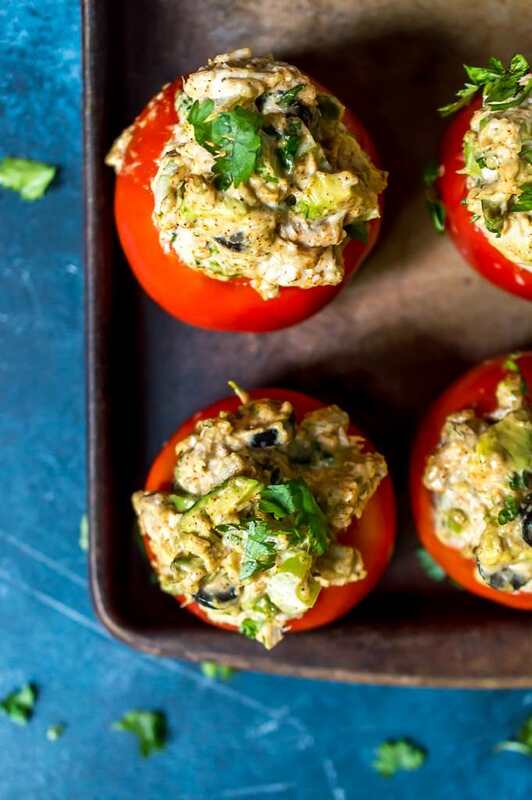 Tuna Stuffed Tomatoes are about as simple as it gets. . . no cooking required. Just make your tuna salad, cut a hole in your tomatoes, drain any excess liquid then fill the tomatoes. There is your quick, healthy, low-carb lunch or dinner. Yes, tuna salad and tomatoes are both healthy, nutritious foods. I go straight mayo with my tuna salad, but you can always use your preferred alternatives. Tomatoes are a nightshade, so if you are avoiding nightshades you will want to avoid this recipe. Can you freeze stuffed tomatoes? I’m gonna go with NO. The tomatoes would get all mushy and weird. 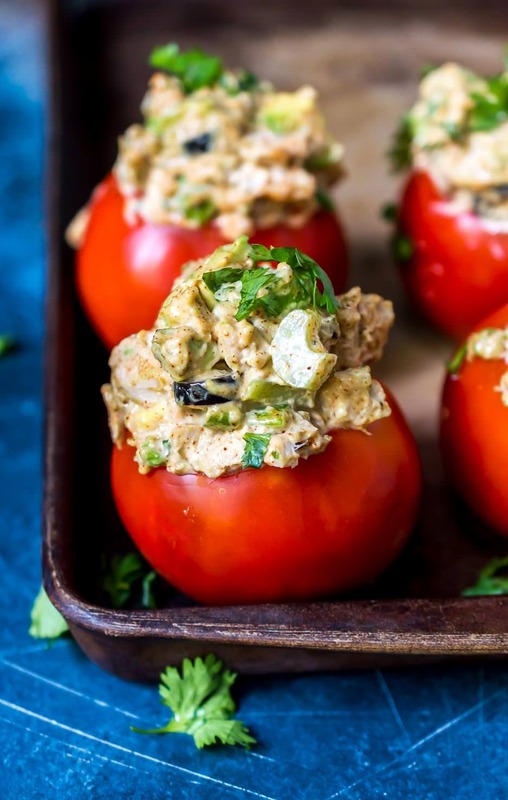 These tuna stuffed tomatoes are great the next day after being refrigerated though. You will need a Sharp Knife and a Good Cutting Board. Check out all of the other WHOLE 30 RECIPES for your meal lineup. Remove the tops of the tomatoes (discard) and place tomatoes upside down on a plate or paper towel to remove excess liquid. 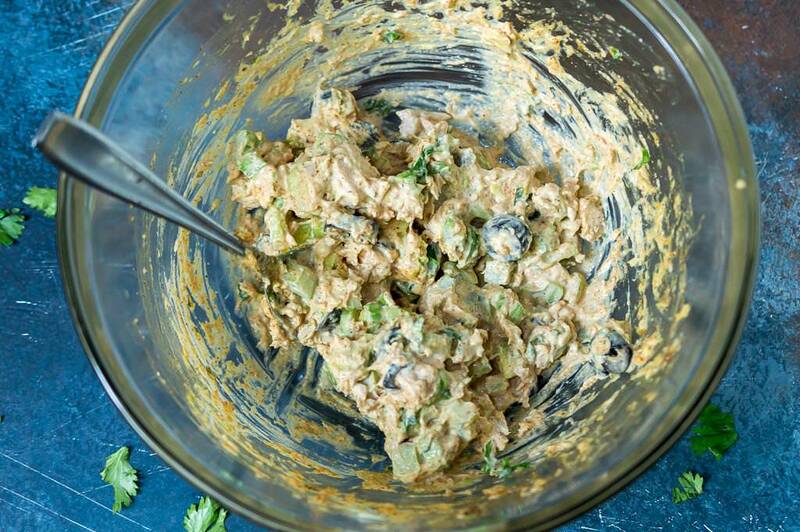 Mix all tuna salad ingredients except the avocado until combined. Fill tomatoes with tuna salad and top with cilantro. Optional tuna salad add-ins: finely chopped onion, diced green chilis, black beans, shredded mexi-blend cheese.